While some are content with being the best, you're never satisfied, because you know you can always be better. You need more energy to drive your determination. You need products that keep your pace. Performix v2Xwas created for those who see no limits in their quest for greatness, and who are willing to go the extreme in the pursuit of superior performance. Scientifically engineered with maximum levels of the highest quality premium ingredients, Performix v2X gives your body and mind the power to propel you into the realm of extraordinary achievement. Performix v2X takes the best-selling thermogenic to a new level as the hardest hitting product in the SST franchise. Fast, fierce, and focused, this formula will redefine the way you experience energy. Performix v2X delivers an immediate surge of extreme energy that will propel your performance beyond what you thought possible. Terra Time-Release Technology sustains this powerful stimulant effect in multiple phases for extended benefits. Cognitive power drives physical performance. Caffeine promotes acute alertness while Teacrine sharpens mental stamina with a smooth and sustained energy. 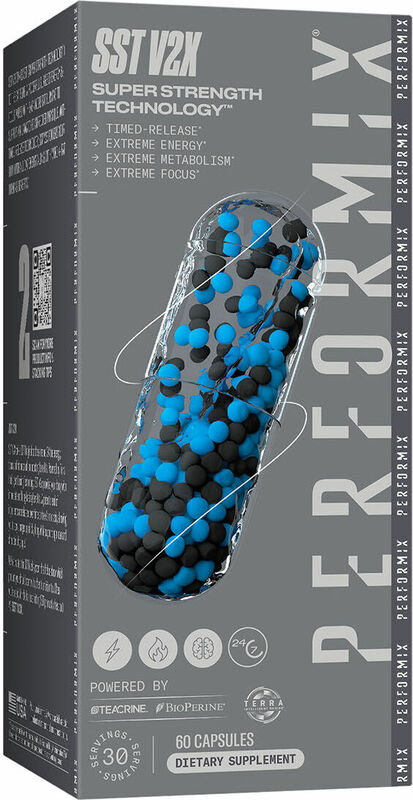 Performix v2X contains transparent formulations that are designed for maximum efficacy.